AA Web Solutions have designed, developed and maintained many websites over the years. From start-ups and small businesses to charities and individuals. Below is sample of my web design work. Contact me now for a free quote! JWD Roofing has over 20 years experience specialising in all types of roofing, building, roughcasting and restoration work. The colour scheme of the website is based on their new logo. The site is fast loading. The site was created using Adobe Dreamweaver and Photoshop. 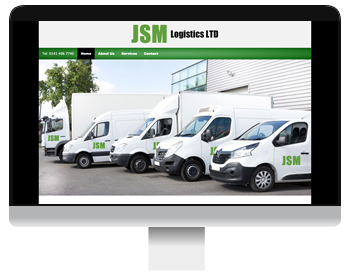 When looking for a solution for all of your transport, logistics and haulage needs, JSM logistics are the ideal place to find it. The colours were chosen based on their logo. CSS3 gradient blending was utilised on the main navigation. 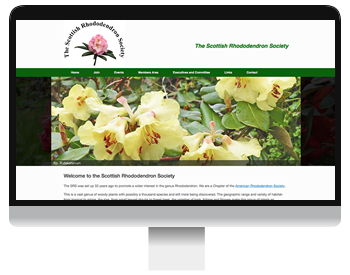 Adobe Dreamweaver was used to create this responsive website. The main aim for Josephine Oboh-MacLeod Charity is progression of society and community development by connecting the world using Art, Craft, Design, Heritage/history. 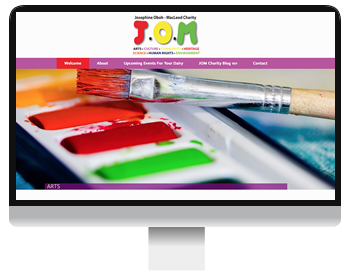 A colourful website with eyecatching photographs was created to reflect the various functions of the charity. The site was developed using Wordpress to allow my client to add their own content. 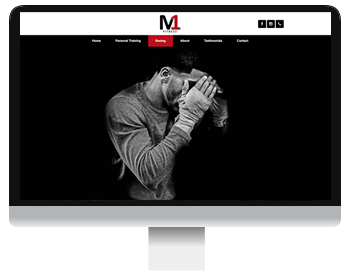 M1 Fitness we offer great one to one personal training alongside boxing fitness classes which are completely different to what you may have experienced before. A customised Wordpress site was developed for my client based on meetings and discussions. I used Adobe Photoshop to edit the photographs and iMovie for video edits. 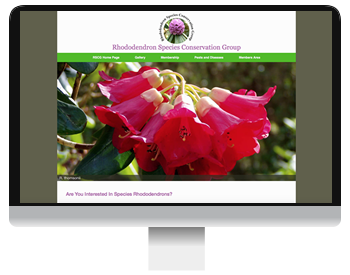 The Rhododendron Species Conservation Group is dedicated to tracing, propagating, and replanting threatened species Rhododendrons. A Wordpress template was customised using CSS3. I used Adobe Photoshop and Adobe Fireworks to edit the photographs. Milngavie based Johfrim Art & Design offer quality Art collections, Sculptures, Textiles, Jewellery, Interior, Landscape Design & Architectural Design Services. A Wordpress e-commerce template was customised to my clients description. 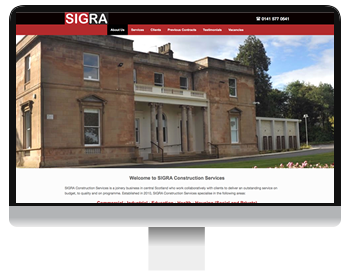 SIGRA Construction Services is a joinery business in central Scotland. 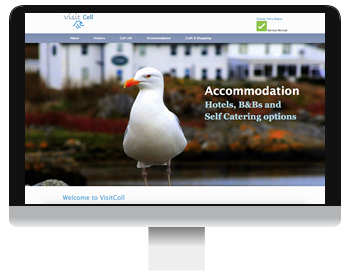 Smartphone friendly site with their telephone number at the top for clients to get in touch with one click on their smartphone. Customised Wordpress template, Photoshop and Fireworks. Angie Kelso of Harley Aesthetics provide non-surgical cosmetic treatments. Offered across Ayrshire and South West Scotland. The website was designed using Adobe Dreamweaver, Fireworks, Photoshop. The site is fully responsive for Phone, Tablet and PC screens. ARIA ignite C.I.C. 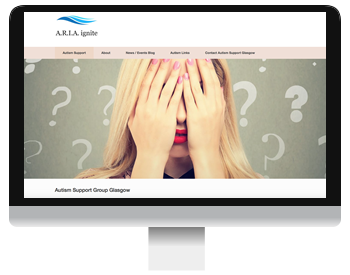 aim to provide needs led support for parents/careers of children with Autistic Spectrum Disorder. They are based on Glasgow. They required a Content management website allowing them to update their blog and content of pages. Home Appliance Repairs is a Washing Machine, Electric Oven, Washer Dryer, Dishwasher and Tumble Dryer repair business based in West Lothian. This is a Smartphone friendly site with a prominent Telephone number for clients to get in touch. The website was created using Adobe Dreamweaver, Photoshop and Fireworks. Music tuition in piano and brass instruments. Professional musician based in Glasgow. Music lessons for Piano, French Horn, Trumpet and Trombone. 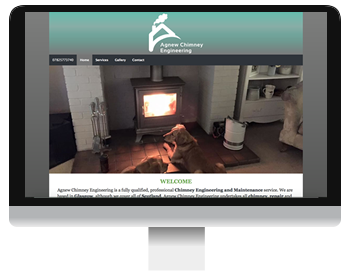 Glasgow based Chimney Engineers and Stove Installation specialists required a responsive web design. The introduction of Bootstrap elements allowed for a flexible design and mobile friendly navigation. The site was designed using a range of Adobe software programs including Dreamweaver, Fireworks and Photoshop. 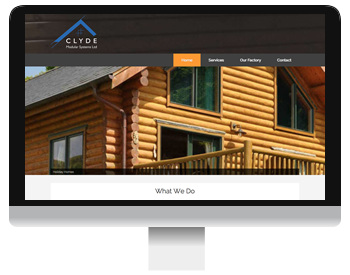 Clyde Homes design, fabricate and installs high quality modular building systems for both permanent and relocatable buildings. They required a responsive design which featured large photographs for a slider. The site is powered by Wordpress allowing my client to update their own content. 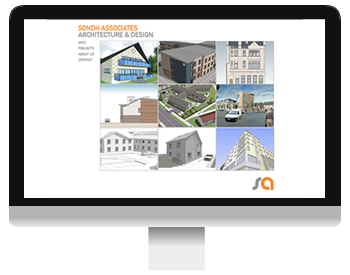 Sondh Associates Architecture & Design required a website to showcase their work. The design brief was to create a website with easy naviagtion for visitors and clear photographs and sketches of their previous and upcoming projects. The site was created using Adobe Muse, Photoshop and Dreamweaver. The option for future responsive upgrading is available when the client wishes. 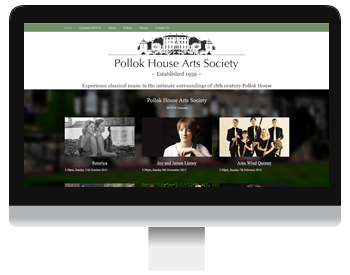 Glasgow based PHAS required a web design which highlighted the classical artists performing in their venue. I also had to incorporate their large logo into the main image of the design. The site is powered by Wordpress which allows them to make their own updates if required. I customised the responsive design for maximum visual impact. The website Visit Coll required a complete re-design and additional functionality. A large front page slider was installed for their collection of island photographs. An E-commerce wine shop was also installed. 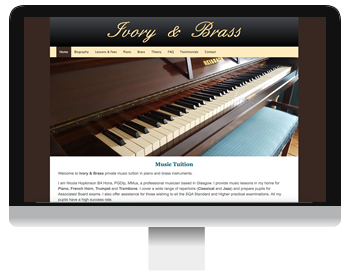 The site was designed using a customised Wordpress template. Images and photographs were edited with Adobe Fireworks and Photoshop. 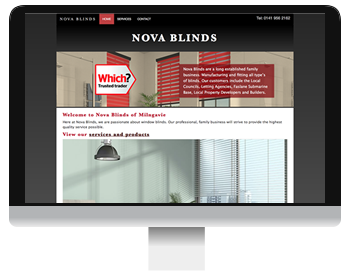 This established Blinds company requested a new website for their Milngavie showroom. A modern responsive website was developed with smartphone, tablet and desktop users in mind. The site was designed using Adobe Comp then Adobe Dreamweaver. Images and photographs were edited with Adobe Photoshop and Illustrator. 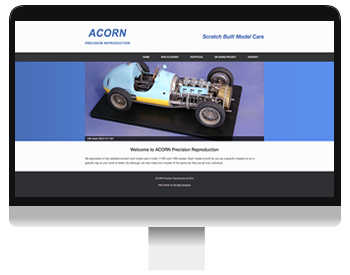 ACORN specialise in fully detailed scratch built model cars in both 1/16th and 1/8th scales. The web design is fluid and features a gallery of photographs of the model cars. 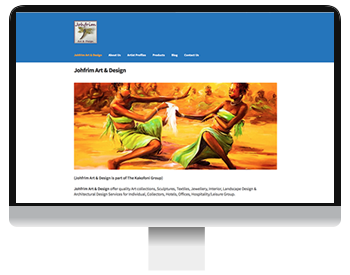 The website was developed using Wordpress with customised CSS3 features, Adobe Fireworks and Adobe Photoshop. AA Video Solutions specialise in creating promotional short videos for small businesses. 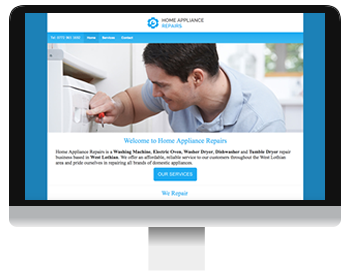 The design of the website is fully responsive and features example videos throughout. This website was designed and developed using Dreamweaver and Fireworks. We also designed the logo! 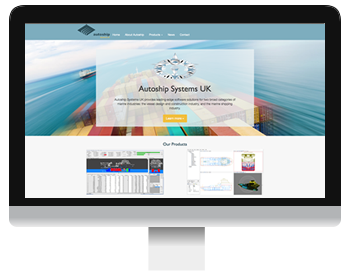 Bearsden based Autoship Systems UK required a responsive web design. The SRS required a new website design to highlight their society in a modern fashion. I used Wordpress to develop the site as they required a Content Managment System to keep the website content updated. The initial design was laid out using Adobe Comp. I then customised a template using CSS. Ross House is a new 4 bedroom property with all the modern comforts you need when you are on holiday. This CMS powered website allows our client to update content such as news, descriptions and latest offers. I also added an image gallery to help showcase the different rooms and views. This site is designed in a clear and professional way. Twitter feeds, blog and Youtube clips all feature. I setup the Youtube channel for our client who features in several news channel interviews around Scotland and the USA. I designed the top bar using Photoshop to integrate his profile photo and also images from criminology. ARGoMAS Ltd is a management systems consultancy specialising in Quality Management, Environmental and Health and Safety systems. This modern website has a responsive fluid design and a dark coloured theme. The design fits all screen sizes from Smartphone to desktop PC. Trevor has a photography business. His website needed upgrading again, this time with a responsive design. The pages are designed to showcase his best pictures. The site also features several new private customer areas. I have enabled our client to upload his own content with a Content Management System (CMS) . Their unique souvenir medals will be a life long reminder of every mile you have trekked of the West Highland Way. This responsive website design allows the pages on the site to fit all screen sizes including desktop PC, laptop, iPad and Smartphone. I also blended two different mountain photographs into one continuous picture. HGK Solutions support Oracle users throughout the UK by supplying a range of innovative and cost saving license and consultancy services. I designed a completely new navigation bar. I also improved the look and feel of the whole site, to give it a more modern business feel. This is my WordPress powered blog about various aspects of web design and development. Focusing primarily on responsive web design and environmental subjects. It uses a customised WordPress theme and unique top bar/banner.